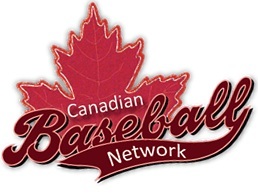 There were no Canadians taken in the first round of the MLB draft. On day 2, Tom Robson was the first Canadian taken as expected, when the Blue Jays selected the big LHP with their 4th round pick. RHP Adam Paulencu of Spruce Grove was the first Albertan taken when the Giants took him in the 13th round. The next local prospect taken was another RHP, Ethan Elias of Entwistle who went to the Cubs in the 22nd round. The third and last Albertan drafted today was another pitcher, this time a southpaw. Jake Hansen from Fort MacLeod was taken in the 30th round by the Mets. There are still several outstanding prospects available, including Ryan Thompson and Cory Scammell, who are likely to be taken in tomorrow’s rounds. I will post an article with the results of the final day after tomorrow.